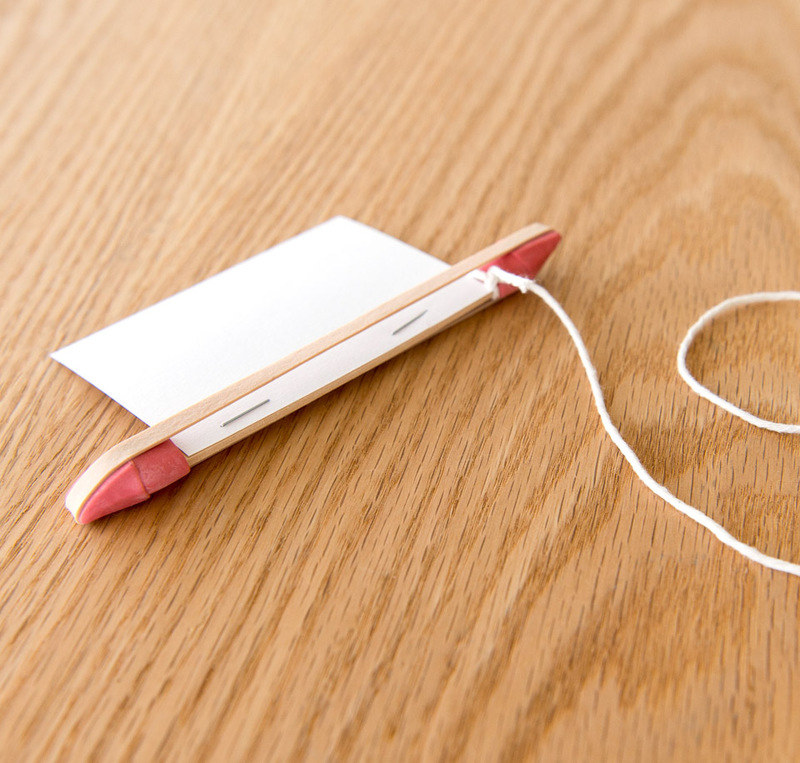 Make a stick, rubber band, and index card sound like a swarm of bees. When you spin it around, this toy sounds like a swarm of buzzing bees. Put a cap eraser on each end of the craft stick. Trim an index card so it fits in the space between the two erasers on the stick. Staple the card to the craft stick. It should stick out about 2 inches (5 centimeters) from one side of the stick. Cut enough string (about 2 feet [60 cm]) to safely swing the Bee Hummer. Then tie the string next to one of the erasers, making several knots so it’s secure. Once the string is tied to your Bee Hummer, stretch the rubber band around the craft stick from one eraser to the other, and make sure it’s snugly in place. Make sure the area is clear. Then hold the end of the string and swing your Bee Hummer in a circle. You should hear a sound like bees buzzing. When you spin your Bee Hummer, moving air makes the rubber band vibrate. The air flowing over the rubber band makes it vibrate the same way that wind blowing over a flag makes it wave. Sound is produced by those vibrations, in the same way that vibrating strings on a guitar or violin produce sound. The index card amplifies the sound. If your Bee Hummer doesn’t seem to be working, check to be sure that the rubber band isn’t twisted, and that the string isn’t touching the rubber band. Either of these things could stop the sound. Experiment by changing how the Bee Hummer is made and used. What happens when the index card is slit, curved, or folded? How does the sound change if you change the size of the rubber band? If you spin your Bee Hummer faster or slower? Use a longer or shorter length of string? You can also modify the materials: Try using balls of clay on each end instead of erasers, or several thin rubber bands instead of one thick one. 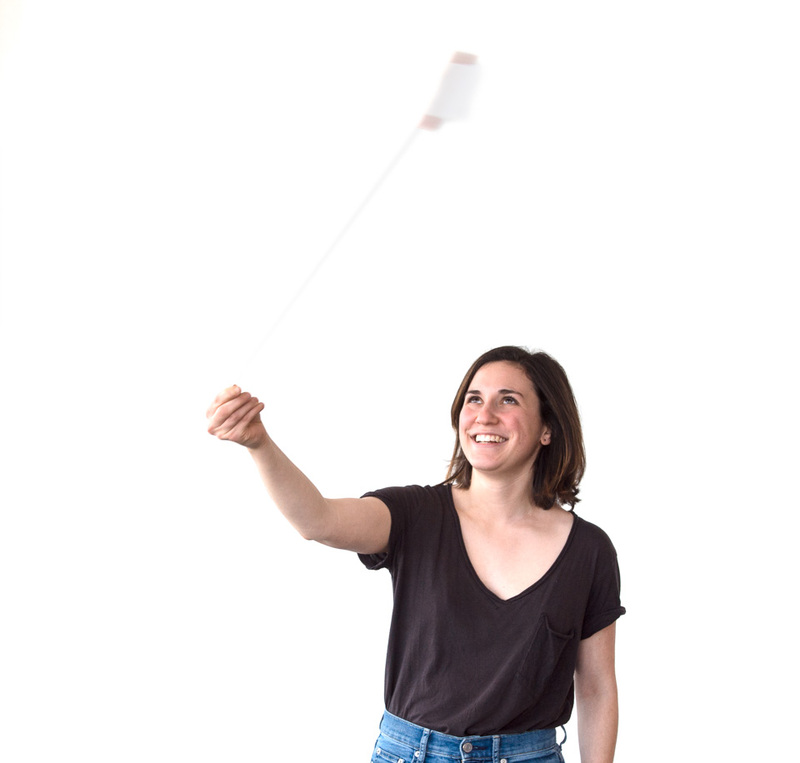 This surprising instrument is fun to make—and even more fun to play. Make beautiful music with sticks, straws, and rubber bands.